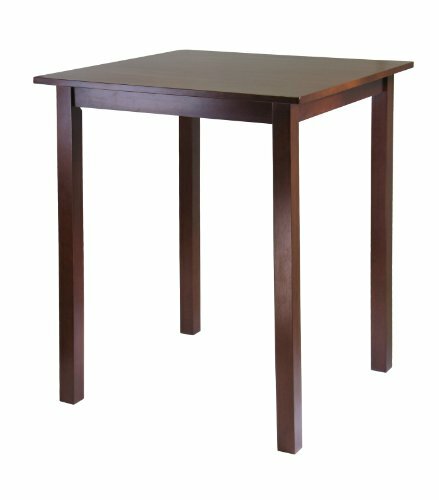 Winsome's new Parkland Pub Table is solid wood construction with antique walnut finish. The square legs and top give it a contemporary look and it's 33-Inch table top gives plenty of room for dinner plates, glassware and accessories. These solid wood items are made of real wood that can slightly shrink or expand 1 to 2mm. After the stool is assembled and used for a short while, the components will slightly re-adjust itself . If the screws are re-tightened the Stool will be leveled with the floor.